Have you ever wanted to travel through Europe? 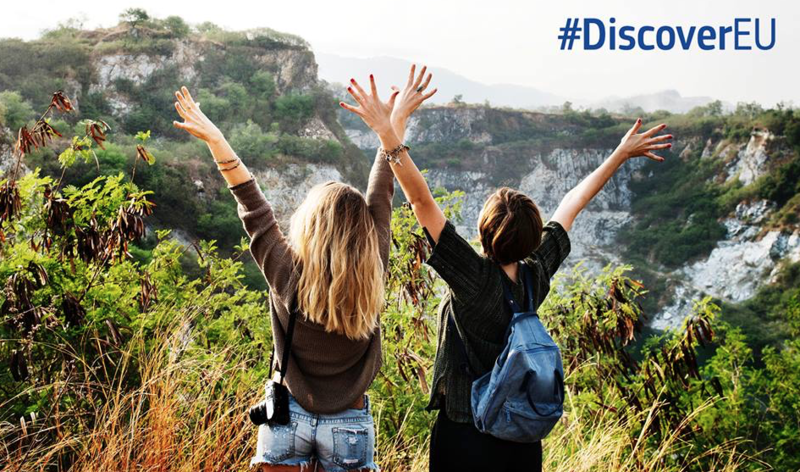 Thanks to the European Union’s #DiscoverEU initiative you could have the chance. With so much to do and see throughout the EU, it is sure to be a life-changing experience. What is #DiscoverEU and how does it work? The European Union is offering travel passes for you to explore it’s cultural diversity, to connect with other Europeans, and for you to enjoy the advantages of the freedom of movement! If you are 18 years old on December 31st 2018, and a European Union Member State national, you are eligible to travel for up to one month between April 15th and October 31st 2019. Apply for free via the European Youth Portal from November 29th to December 11th to be in with a chance to travel. DiscoverEU will give participants passes to travel by rail, but please remember that accommodation and living expenses are not included should you win! Read on to see how you can plan an amazing experience! For your trip to run as smoothly as possible, planning in advance is the way to go! To help budget, be sure to know the cost of living, and price of travelling to your chosen destinations. Note that certain trains may require reservation. In these cases, you have to make the train reservations yourself. When travelling by night, check the possibility of booking a bed on that particular train. See the overview of reservation cost per country to avoid unwanted surprises! Apps can also be very helpful, with this trip planner, Lonely Planet’s guide app and Citymapper, you can plan the perfect trip. Do you need to know more? On Lonely Planet Country Forums you can ask questions about a specific country or city. You can also find great information on VisitEurope. Reducing accommodation costs can also lead to big savings! For details on hostels, camping and flat renting, you can find information here. Be aware that you are advised not to book until you know if you are selected, and on what dates you will be travelling! European cities are a hotbed of great events, so no matter what your interest area, there’s something for you! In many European cities, it is possible to do a free guided tour through the centre. This is a nice and cheap way to learn about the history of the city; and the guide usually also gives you some useful “insider” information. For ideas on where to visit, European Best Destinations covers an array of categories, mainly dealing with cultural sites throughout Europe. Street festivals also offer a chance to get involved with a destination country’s culture, enjoying festivities alongside locals. Looking for inspiration? Check out the European Year of Culture Heritage 2018 Interactive Story Map, showing some fantastic events throughout Europe from last year! Expatexplore will also recommend events that you can enjoy throughout your travels, with sporting and art events covered thoroughly. For music enthusiasts, festivals around Europe offer a huge variety of performers. From a family atmosphere at Electric Picnic in Ireland, to dancing non-stop at Tomorrowland in Belgium, every genre and demographic is covered! You can still ring 112 in the event of an emergency. Remember that roaming charges no longer apply in the EU, and that you can search through reviews of hostels or google areas in which you’re travelling. In case of loss or theft, you need to report back to the local police. You will need to enclose the police report when making your insurance or compensation claim. Cancel any lost or stolen debit or credit cards immediately. If your passport has been stolen, report it to your country’s consulate or embassy as well as to the police. Always keep a scan of your ID or Passport (for example, in your email), this can help in an emergency. For more tips on how to stay safe click here!